Ecotech Office Environments is one of the largest buyback companies serving North America. We are the only source you need for disposing of your used office furniture and systems. 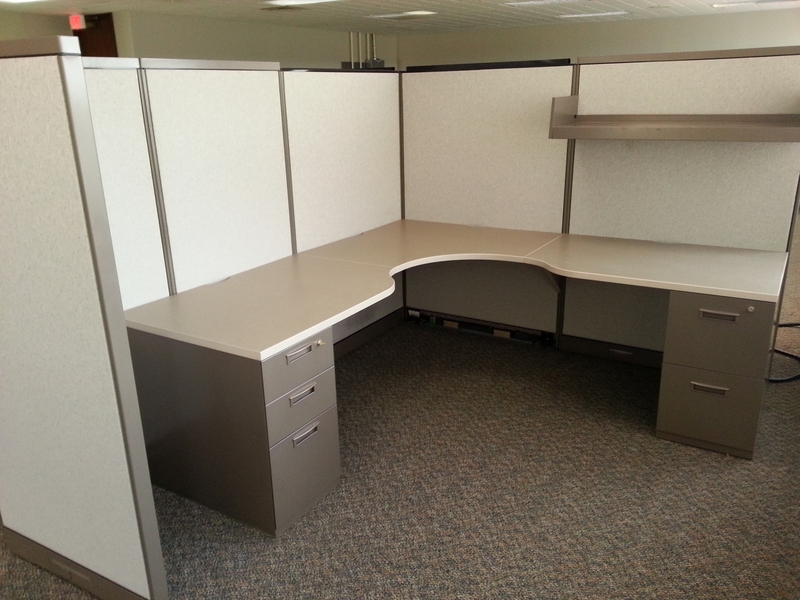 We specialize in assisting our clients by purchasing and consulting in regards to your pre-owned office furniture. Our buyback solutions offer a variety of options for you to choose from to find what best fits your needs. 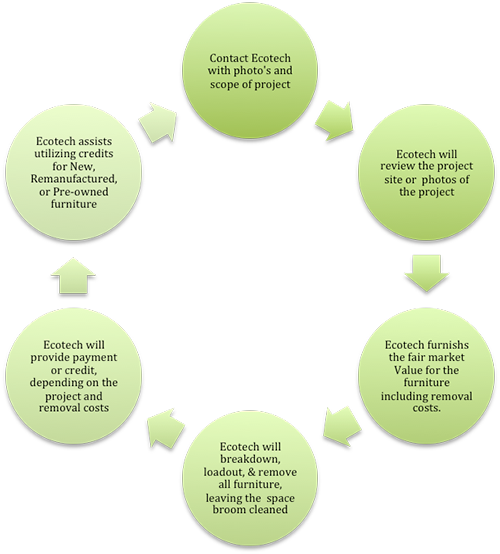 Ecotech Office Environments will work with you and review your current needs to direct you to the proper option or solution to maximize the return on your furniture assets. Purchasing Your Existing Furniture - Ecotech Office Environments offers fair market value for all furniture. We buy Steelcase, Haworth, Herman Miller, Knoll, Kimball, and all other major manufacturers. Through our nationwide network of dealers and installation companies who work in partnership with our buyback group, we will arrange for disassembly and removal of your existing furniture. Along with our project managers, these professionally experienced crews will successfully complete your project on time and in a professional manner. Through our vast experience and consulting on projects since 1999, Ecotech Office Environments has become a nationally recognized leader in the office furniture liquidations industry. Liquidation is often the only solution for companies who need to vacate their existing space. Ecotech Office Environments assists in downsizing, moving, reconfiguring, or trading in your existing furniture to reduce your liquidation expenses. Please let us assist you in completing an efficient, profitable, and successful project. Please contact us directly at (716) 580-3725 or at [email protected] to discuss the scope and parameters of any upcoming projects. Please feel free to call us at (716) 580-3725 if you have any questions. Copyright © 2010 - 2019 Ecotech Office Enviroments. All rights reserved.